Constant temperature and humidity incubator has the function of controlling constant temperature and humidity. It is a laboratory equipment that can simulate various environmental conditions. It is a common equipment in scientific research and universities, such as environmental protection, sanitation and epidemic prevention, agriculture, livestock and aquatic products. It is also widely used in bioengineering, water analysis, performance testing of industrial products and other fields. The outer surface of constant temperature and humidity incubator adopts magnetic door seal structure. Reasonable air duct circulation system is fully mixed and blown to the incubator body to ensure more precise temperature and better uniformity. At the same time, it also has intelligent PID control technology of micro-computer to keep temperature and humidity accurate and constant. Touch parameter setting button with timer and overtemperature alarm function. Our company Kangheng Instrument Laboratory Equipment Manufacturer is introducing the concept of green environmental protection, equipped with internationally renowned brand compressors, with delay protection function, running smoothly. The use of fluorine-free refrigerant R134 makes the system more energy-saving, efficient and healthy. 1. Do not use the machine if it is found to be damaged or deformed when unpacking. 2. In order to prevent electric shock or malfunction, please do not turn on the power supply until the installation and wiring are finished. 3. It is forbidden to disassemble, process, transform or repair equipment without authorization, otherwise there will be danger of abnormal action, electric shock or fire. 4. Please try not to open the door of incubator at work. 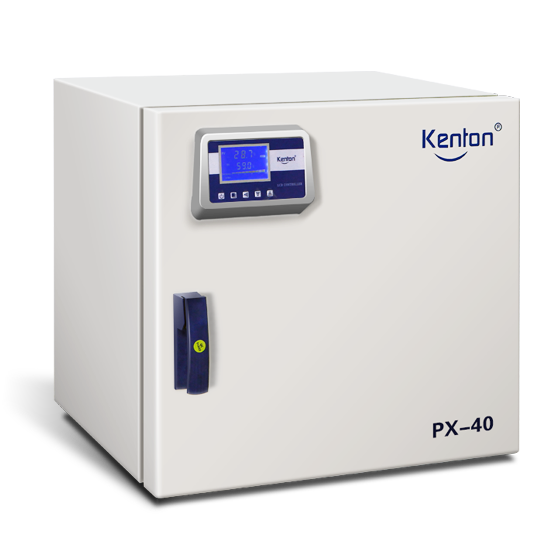 Opening incubator at high temperature may cause burns to operators, and opening incubator at low temperature may cause frostbite to workers in the morning, and may cause freezing of evaporator, which will affect the refrigeration effect. If it must be opened, please do a good job of protection. 5. Please wipe the instrument with dry cloth. Do not use alcohol, gasoline or other organic solvents. Do not splash water on the instrument. If the instrument is immersed in water, stop using immediately. Otherwise, there is a risk of leakage, electric shock or fire. In order to avoid machine failure, please provide the power supply within the rated voltage range. 6. Safety should be fully considered before the operation of instrument, such as modification and setting, signal output, start-up and stop, etc. The wrong operation will damage or break down the working equipment. Check the terminal screw and fixing frame regularly. Do not use it in loose condition.